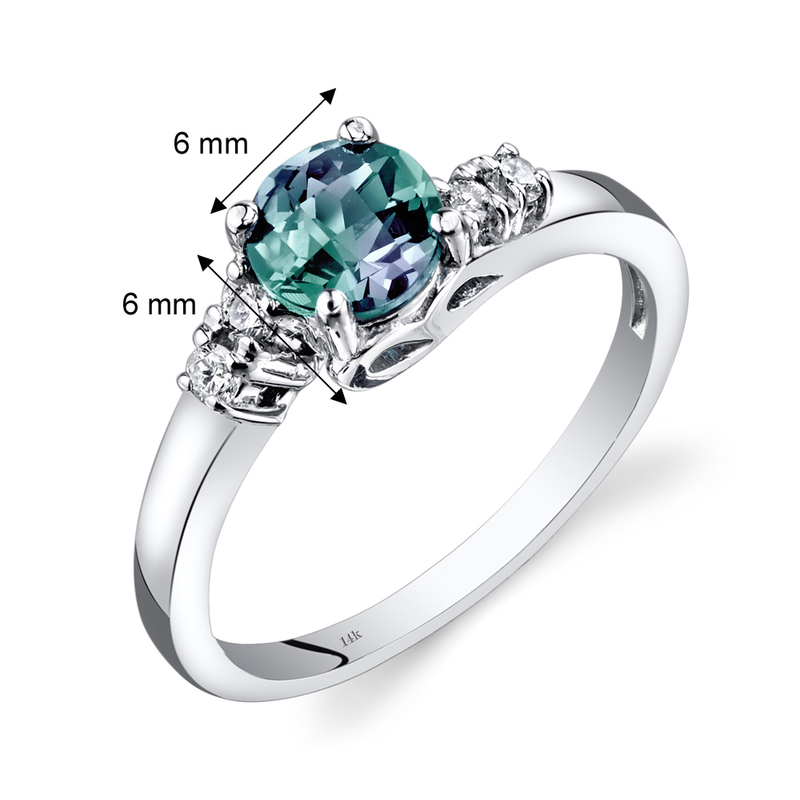 14K White Gold 1 Carat Created Alexandrite Diamond Ring Description Main Stone Lab Created Alexandrite Total Carat Weight: 1 carat Round Shape Stone size: 6mm Changes Color Teal to Purple Eye Clean Accent Stone(s) Genuine Diamonds Total Carat Weight: 0.12 carats Round Brilliant Cut Diamond Color: J-K Diamond Clarity: SI-I Metal 14 Karat White Gold 14k stamp Gold Weight: 2.3 grams Ring features exceptional Design, Craftsmanship and Finish. 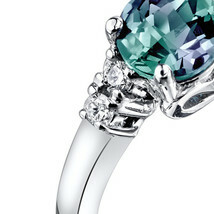 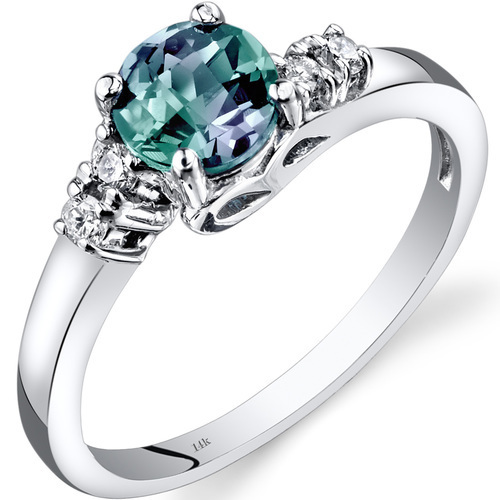 Alexandrite is the Birthstone of June. 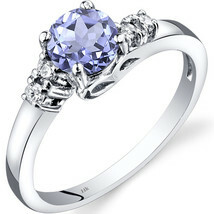 Perfect gift for Mothers Day, Birthdays, Valentines Day, Graduation, Christmas or just about any other occasion. Includes Gift Box Have a Nice Day!